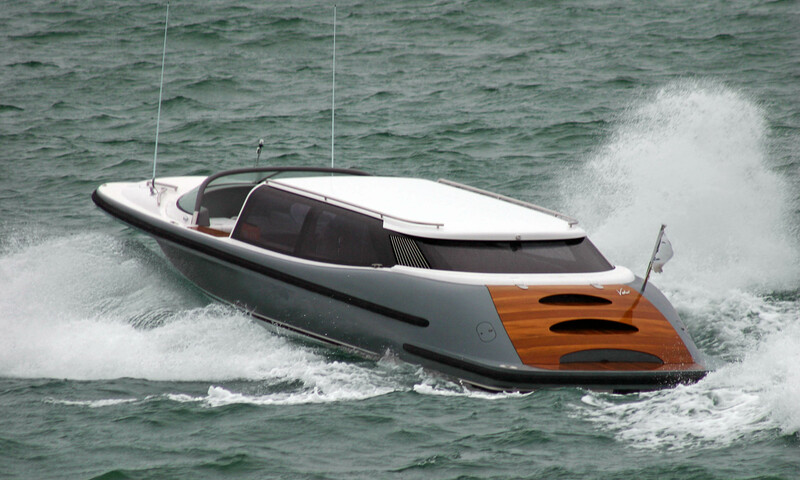 This 11.3m deep Vee hull Limousine combines style and luxury at speed. 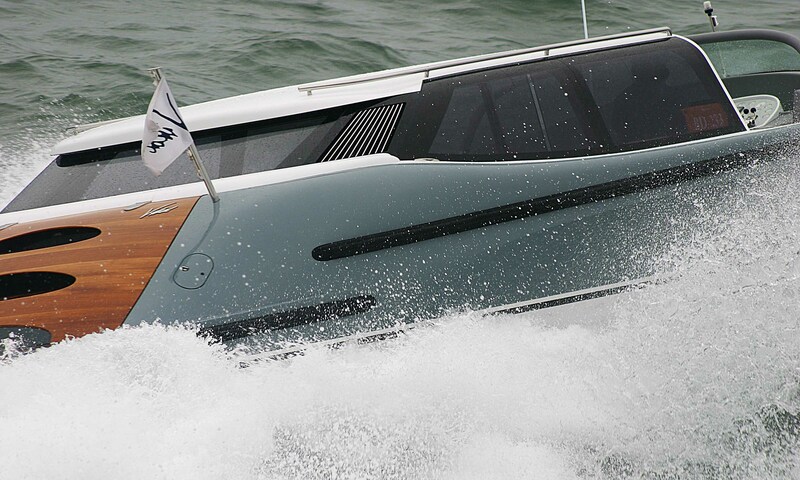 Capable of cutting through chop at up to 46 knots, this is a formidable Limousine. 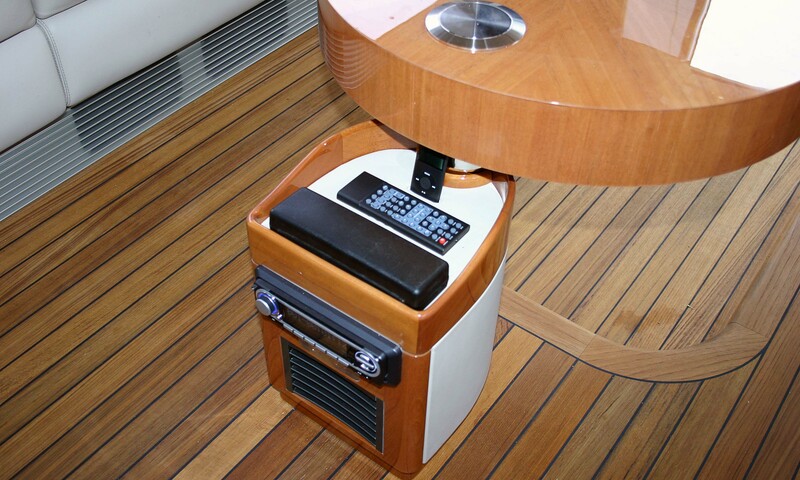 The Tim Heywood's leather interior is complimented with high gloss mahogany finishes. The Sam Sorgiovanni exterior is a classy mixture of oiled teak and grey coupled with white gloss finishes. This tender resides on a 115m Motor Yacht, an appropriate carrier for such a build. 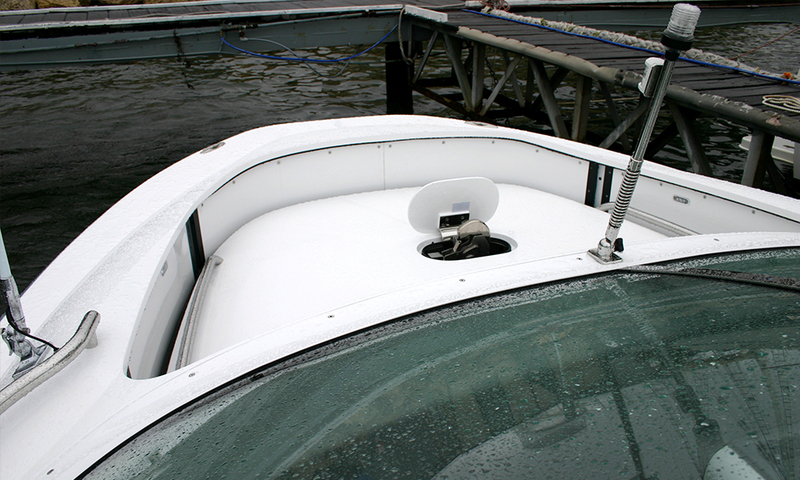 With a retractable foredeck this Limousine was shoehorned into a tight garage space on board the yacht. 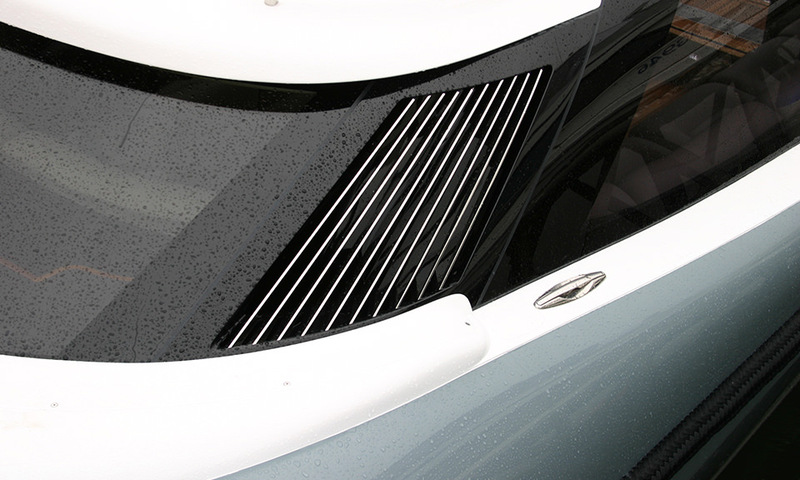 Sporting a beam of 3.5m, it remains one of our largest Limousines delivered. 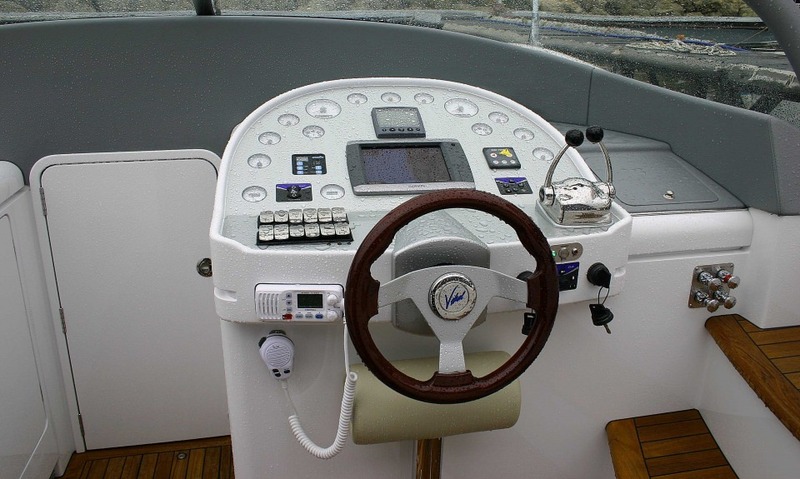 This tender is powered by two Volvo D6 Diesels, with a 240 volt Diesel generator driving the reverse cycle air conditioning designed for a Limo to use in all seasons.